4. Refresh. It can take several seconds to be able to access to the virtual device since we need to wait for the device to be fully booted. 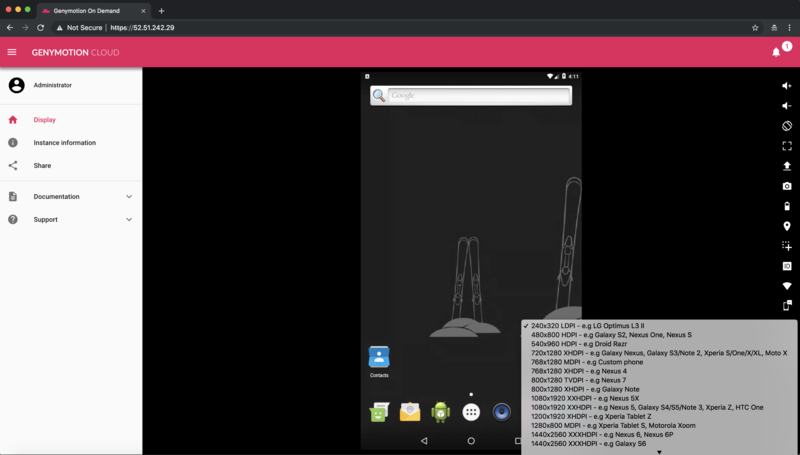 You need to be in the virtual device shell to run those commands. 2. To set it directly from the user interface, click on “Try it out”. 3. Set your resolution, click on execute.